Icart began his career illustrating clothing for Parisian fashion houses, but soon experimented with drypoint etchings depicting beautiful, seductive women, frequently with their animal companions. He helped define the Art Deco style of the 1920s when his artistic career began to flourish. Icart became particularly popular among U.S. collectors after WWII, making it nearly impossible for him to keep up with the demand. The demand has never waned and his art continues to grace the walls of collectors all over the world. It is also bountifully reproduced and imitated with prints of variable quality, so the Icart collector needs to be cautious. 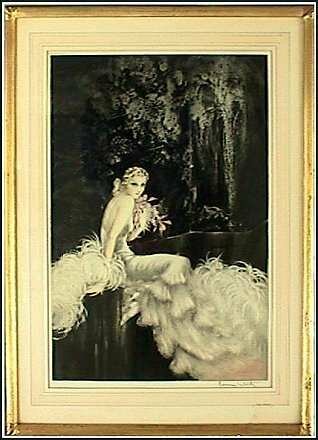 The New York-based Louis Icart Society has authenticated original etchings sold in America by affixing their embossed seal, such as is illustrated for this work. "The extreme delicacy of the artist's line, the Icart elegance, the fine movement of an outstretched hand, the display of a provocative thigh, a well-drawn glove or shoe, all these elements added charm to the delightful young women in his etchings. 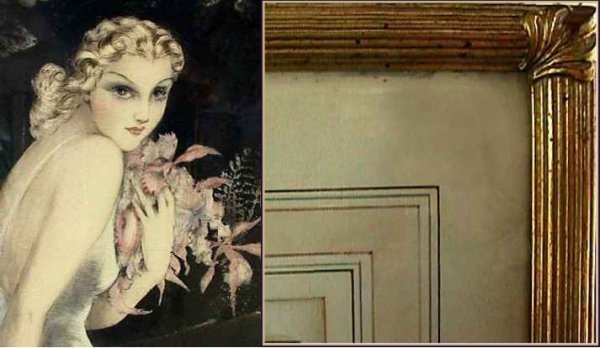 The Icart girl, whether portrayed as a countess or a flapper, set the theme for an era. He captured the free and easy attitude of a girl with the shingled hair and the cupid bow mouth. Whether she was smoking a cigarette or driving a car or revealing a total new look in clothing, his model typified the popular styles of the times." -Mel Carmel.